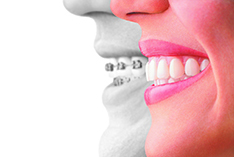 We will use invisalign impressions to create a precise reproduction of your teeth. Then we will map out a precise treatment plan, including the exact movements of your teeth and how long your treatment will be. You’ll even get to see how your teeth will move and preview your new smile.